THIS CONTEST IS NOW CLOSED! THANK YOU EVERYONE FOR PARTICIPATING! Random.org selected #12 - Sky! CONGRATS, Sky! You're book will be on the way to you shortly! In accompaniment with Bloggy Giveaways, I bring you the Barefoot Book of Knights. 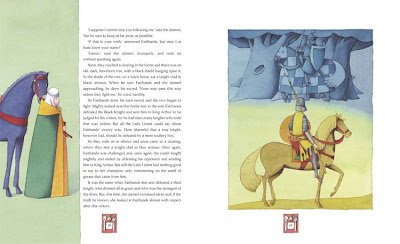 The Barefoot Book of Knights is hands down one of the best story books on Knights that I have yet to find for children. Having a son and desiring to instill in him knightly character traits (such as honor, respect, dignity, etc. ), I'm eager to find good resources to foster both his admiration and imagination when it comes to knighthood. Written by John Matthews and beautifully illustrated by Giovanni Manna, this book contains the tales of knights in a variety of different countries. It includes tales from Britain (of course), Germany, Russia, Brittany, Persia, Japan and France. These are all stories that have been collected down through the ages and are presented as to a ten year old boy who is on his own quest to become a knight. Not only is this book full of stories which you can read aloud (there is a storytime CD included with this book so that you can listen to the stories as well) but it is informative as well, giving information about the history of knighthood as well as the process of achieving it. Barefoot Books are synonymous with quality in my opinion. I have yet to see a book of theirs that I didn't like and this book is no exception. The stories are woven together in an artful manner, illustrated in complimentary fashion and are educational as well as entertaining. You couldn't ask for a better combination than that, really! 1. Leave a comment telling me what you like about this book (the concept, the artwork, the stories, etc), OR something that you've learned about the process of becoming a knight OR a comment suggesting some other reading materials for children (and adults!) on knights and castles. Leave recommendations! I love them. For more information about this book, be sure to visit Barefoot Books. Browse their site as they really do have some top notch books to offer. I've reviewed several of their books for 5 Minutes for Books and I'm consistently impressed by what I've seen. Participants in this contest need to be U.S. Residents only, please. The contest will remain open until Thursday, January 29th. Winner to be selected using random.org. Thanks for stopping by! Good luck. I cannot think of a single book about knighthood right now. Hrmph. Oh, wait. How about Crispin and the Cross of Lead? Wait. It has been a great long while since I've read it, and I just hopped over to Avi's site to read a summary, and it seems that while it is set in the 1300s, it has little to do with knights. I think. Anyway, it's a great book if you haven't read it. The knight book for giveaway sounds (and looks!) fascinating and one I would be glad to have in our home library! I adore Barefoot books, and would love to add this one to our collection. I love their world series, and am hoping to buy Tenzin's Deer one day soon. Knights is a fantastic topic, and since I'm a mom of two boys, I know this book would be appreciated here. Not to mention, the illustrations look fantastic. Great giveaway, Carrie! I love Barefoot Books. They have the most unique stories and vibrant illustrations! I would love to win this!! Please include me! I desperately want to educate my son in many aspects of history. I would love to have this book about knights and to use it as a stepping stone into discussions on character traits and how much chivalry has changed over the years. One of my son's favorites is "Saint George and the Dragon" which I believe is also based on Spenser's "Faerie Queen" (I should read that one now). We love books about knights around here as we also desire to instill the virtues of knighthood in our son. However, I would say wait to introduce your son to "St. George and the Dragon" due to the fierce looking dragon! We would love to win a great knight book and we have not read any Barefoot Books yet. The illustrations alone look great. I used to work at medieval times and I love that time period. Our sons are in dire need of some role models and hubby and I are just out of ideas. This book would be a great jumping off point. I like the variety of countries featured. I love the the idea of a book about knights. Right now, my grandson is all about knights and this would be so good for him. My son absolutely loves anything to do with knights and castles. One of his favorites is the DK Knights book. He would love this book! I read Sir Gawain and the Green Knight to my daughter a few months ago, it wasn't her speed (I had hoped the Brit Lit from the middle ages had transferred in utero, but alas it is not for the three year old mind). Friday we had a Japan day and we learned about the Shoguns and Samurai (we also made sushi and miso soup, yum). This book would be so nice to have for her! I have always been interested in the knight era. (I enjoy any era that used horses!) It started with the books by Howard Pyle, he illustrated his own books and each legend is lovingly retold. Mike got me a Waterhouse poster for each birthday for several years. They are my main pictorial decorations in our house! The boys love knights as well, we have couple of great ones, they are re-read time and time again! The Kiss That Missed and Good Knight Sleep Tight by David Melling. Beautifully illustrated by the author these sweet stories feature a royal family who's particular knight and loyal steed (who is completely scared of heights!) is called upon to rescue them out of silly situations! I have been having trouble with my internet, that must be what happened to my previous post. Sorry it is all messed up! I love the illustrations. My sons would love these books. The oldest dresses like a knight-frequently. This is one book about knights he doesn't own. My oldest is totally into Knights. He would love this book! and the pics are wonderful too!! very high quality book. I love barefoot books!! There are many that grace the shelves of our bookcase and they are the most often selected books to read. This would be a welcomed addition to our library- the illustrations are just beautiful and barefoot books are so well written. My little knight would just adore this one!! I have never heard of barefoot books but it looks like they have some really cool stuff! My boys would love the Knights one because of the art work and i would love it because of the values they are learning! thanks for the chance to win it! I have 3 little boys and have heard great things about these books, but I haven't read any yet. I love the idea of teaching little boys about chivalry and bravery and what better way to do it than with a great book? I love the artwork of the book, and I really think that any child would enjoy reading this book. I love the artwork, not to cartoony. Just simple and fitting of the subject. I love the pictures. They're beautiful. I love the concept behind the books and the morals they offer to kids. It's tough to find books about honor and dignity that are able to capture a child's attention. But these look perfect. Thanks for the chance to enter! I love stories about king arthur and lady guenievere and sir lancealot and the knights of the round table. I really like that there are stories from all over the world about knights. I find looking at things from many different cultural perspectives fascinating. If this book is truly about the honor and ethics of knighthood and not just the swinging a sword around and fighting, I LOVE that. It's so hard to find stories that are good for boys that don't involve gratuitous violence and behavior I do NOT want to encourage! I've heard great things about Barefoot Books recently; haven't ordered any yet, but I'll have to keep them in mind. King Arthur is a wonderful story. I love the artwork! I'm a sucker for a good picture book! I have a 5yo who loves to play "knights" "pirates" anything with a sword. I really want to encourage more of the knight aspect rather than pirates. I have been eying the Knight book on the Barefoot website for a bit of time now. I am drawn to the artwork along with the content (what I know from the examples). I think the artwork alone would draw my 5yo in and as he grows the content will be great. Sorry, no recommendations as I have just started this journey of looking for knight books. I have never read a Barefoot book, but I hear they are good. The illustrations in this book look incredible! Other good book on knights and castles? Usborne Books! Really the best nonfiction books for children on the market. And the Internet links in them are fantastic! We have a shelf of reading material on knights, but surprisingly, we don't have this title. One of our favourite books on knights is Castle Diary: The Journal of Tobias Burgess Page by Richard Platt (it covers other things about caslet life as well). I love that this includes knights from Eastern cultures! Thanks for having this giveaway. My 4 yr old son is really into knights right now, so I am sure he would love to have this book. I think the artwork looks great. I love books that incorporate history with interesting reading. THis book sounds like it would do that. My ten and nine year old son would probably really like this. Oh, my. We have the Barefoot Book of Pirates and love it, but my son is even more a knight-lover! We have an older book called What's Inside a Castle (not the look-and-find one, an older one with informative text) that he loves. He would love this one! Of course I am going to be excited over this one, since my degree is Medieval studies! (gosh, that seems like ages ago lol) I like that this one has tales from different countries - usually you just find them with tales from the UK. Like you, I would like to see my son develop knightly character traits (such as honor, respect, dignity, etc.). I enjoyed reading Ivanhoe when I was younger. If it counts there is also Robin Hood, although there aren't any actual knights in there. Growing up I LOVED knights and ladies and the whole medieval era. I think what I love most about this book is the artwork and the fact that you can learn so much from it. I've always loved reference books for kids. :-) Definitely need to have a bunch for my daughter as she grows! This sounds like it would be a wonderful book for my son. We are working hard on instilling good values and books like this can only help. First, I love Barefoot Books. Second, we're studying that time period this year. So, we've got several books going around this time period. "Beowulf, a New Telling", by Robert Nye is great. Also, I love "Castles: A 3-Dimensional Exploration" by Gillian Osband & Robert Andrew. It has great popups! Thank you for sharing, I really like the concept of this book, It seems like a good book to teach children about how knighthood worked! We have some Barefoot Books puzzles and I love their colorful illustrations and the fact that they teach- I'd love to learn more about the process of knighthood. I LOVE Barefoot books! I love the stories and the fantastic artwork! I just had a conversation with a good friend telling her how much I love these books. I would LOVE to add more Barefoot books to my library! The pictures are wonderful in this book and the subject of knights is very appealing. Another fun book for kids are Good Night, Good Knight and Get Well, Good Knight. I love the art work that are put into these tales. Love you can read aloud with good pictures for my little knight. My son is currently enthralled with knights, so this would be great for him. Plus I'd LOVE to see all the gorgeous pictures! I have a son and am expecting another, so this book would be good from the character-building standpoint. I like that aspect. I love the idea of the books! I also have a son and would love it if I could teach him those wonderful qualities and only hope he uses them as he grows into man hood! I love the values such books instill in our children. I have a son and realize that above all else, I'm not raising a child...I'm raising a man and the choices I make now will affect the type of man he becomes. Great choice in book giveaway! Do I have to have read it, or can I just say that I would love to?! I recently re-arranged all our books and discovered I have a whole shelf of wonderful kids books.... and no kids yet! I simply love good kids books, and it looks like the illustrations are just as quality as the story. I love stories about King Arthur & Britain in general. This book looks wonderful! I would love to win this Barefoot Books knight book for my six year old daughter because I think it's good to expose her to both princesses and knights! Barefoot Books always have lovely illustrations and inspiring, unique stories!! We are big fans of their book and cd sets too! I love the whole idea of this book. As a woman with five sons, I would love to get this into their hands and let them aspire to knighthood! Thanks for the chance! My sons love knights! Another great knight book is the Dorling Kindersley's Eyewitness Knight book. Oh knights, I am a lover of knight going way back to "Sir Gawan and the Green Knight". Anyone else remember that wonderful story. I introduced my children and grandchildren to the wonderful ethics of the knights. This would be fabulous to win. The illustrations look fantastic. My son love knights and castles and would love this. thank you! David MacCaulay's (sp?) book on the architecture of castles is awesome. I think it is just called "Castles". What a great book! I'm not at all familiar with Barefoot books but took a look at the site and saw quite a few titles we'd like to have. My husband and I are trying to focus on 'respect' in our household. What a fun way to do so! This looks like a wonderful book about Knights! The illustrations look great. My daughter is fascinated with anything about royalty, castles, knights and such - I'd love to win this book for her. Thanks for including me in your drawing. I'd love to have a book on knights that reinforces wonderful character traits in my boys. I love the stories and illustrations are superb! My niece and nephew would love these! The pictures look wonderful! I know a little boy who would LOVE this! As my grandson is a bit young, I will love to hold this book until him and I could enjoy it together. The book that come to mind is The Sword and the Stone. I love this movie from Disney and hope to watch it with Dylan someday. Honestly, I'm in love with the concept of this book! 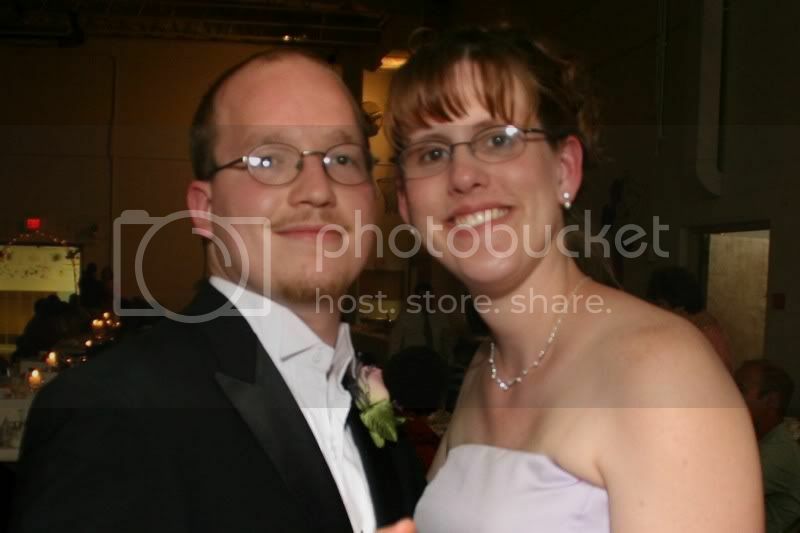 I'm the mom of 3 young boys and I know that they would love the story and I would love the character from it. The illustrations look gorgeous. I need to read more to my little man. No excuse that there's less time with #2. I am so stoked to hear about a good knight book! I can't remember which year in Calvert they use Sir Thomas Malory's incomparable text but it is sorely lacking in art. Will keep an eye out for this one for sure! I love reading about knights and medieval times and would love to share this with my son. The illustrations look beautiful too! I enjoy the concept of the book, as I like to read about Knights. I homeschool & we did a unit study on knights for my special needs son a few years ago. He would love this book. I like that it has historical information & is not just purely fiction, and that it comes with a CD. I have always been enthralled with stories about knights and their adventures. And to have a compliation of so many stories would be wonderful. Thanks. the illustrations are really good in this book. i would love to read this with my children. it would be a good way to introduce knights and what they represent to them. I think it has a cool topic for a book! What a beautiful book. Although we have a daughter I still think that she'd love this book. It's beautiful and sends a great message. I love the artwork, wow! I think Knights are great role models for little boys. Chivalry is a great code to live by! My little guy loves them, but we don't have a single book on the subject! Thanks for the great giveaway! P.S. I've got a giveaway on my blog as well, feel free to check it out! The artwork is great. It is whimsical, but not cartoony. Thanks for the giveaway. I would love to have the book for my child's collection. Thanks! We're studying the Middle Ages in our homeschool co-op right now and this would be a great addition. I think all the boys(including my three) are facinated by Knights. We haven't read any books from Barefoot before, but might have to start looking for some. I love barefoot books. This looks like a great book. The illustrations are beautiful. I would love this to teach my son. I haven't read any such book before, so I'd love to discover the concept, and meaning behind being a knight. I love the artwork. Inspiring to me in my artwork. The period between boyhood and manhood is interesting to me! thanks my family would love this! I would give the Platinum bundle to my book group. We drink lots of coffee during our meetings. I don't know any specific books about knights but I agree Saint George and King Arthur would be good stories. I think it's great you are trying to install knightly qualities in your sons. I would love to do the same with our boys. Maybe if we all do this with our sons the age of chivalry might return?? What a beautiful book. I love books and those illustrations are great! I love the idea of this book! I am always looking for quality books to read to my sons! I think the artwork is wonderful! If you haven't read it Tamora Pierce's book Alanna and the sequels are the story of a girl who disguises herself as a boy to become a knight. She learns about honor, loyalty and that being a girl is fine too. The stories sound great, but I also like the illustrations.